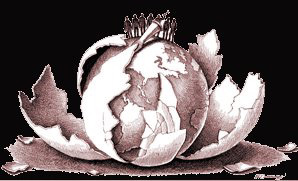 http://www.JewishWorldReview.com | We are witnessing a seismic shift in global affairs. The shake-up is a perfect storm of political, demographic and technological change that will soon make the world as we have known it for the last 30 years almost unrecognizable. Since the mid-1980s there have been a number of accepted global constants. The European Union was assumed to have evolved beyond the nation-state as it ended the cycle of militarism and renounced free-market capitalism. With its strong euro, soft power and nonaligned foreign policy, the EU was praised as a utopian sort of foil to the overarmed U.S. with its ailing dollar. Germany, ostracized after losing two world wars and struggling with the guilt of the Holocaust, as penance was to be permanently submerged in European alliances, as its economic power was always expected to prop up the eurozone experiment. The Arab Middle East for the last 40 years seemed to be the world's cockpit, as its huge petroleum reserves brought in trillions of dollars from an oil-depleted West, along with political concessions. Petrodollars fed global terrorism. Oil-poor Israel had little clout with Europe. In general, the West ignored any human-rights concerns involving the region's oil-rich dictatorships, monarchies and theocracies, as well as their aid to Islamic terrorists. Conventional wisdom also assumed that an indebted U.S. was in permanent decline, a cash-rich China in ascendency. The world would increasingly make the necessary political corrections as it pivoted eastward. But none of that conventional wisdom now seems very wise -- largely because of a number of technological breakthroughs and equally unforeseen political upheavals. The eurozone is unraveling. An aging, shrinking population and a socialist welfare state lead to serfdom, not utopia. War guilt and EU membership will no longer ensure German subsidies, but rather serve to alienate the German public. Europe's cloudy future hinges not on Brussels technocrats, but on Europeans learning how to deal with a dynamic, increasingly confident and peeved Germany. The Arab Middle East is now in a free fall. Tyrants in Egypt, Libya, Tunisia and Yemen were ousted, while one in Syria totters. But while the world hoped secular democrats would follow in their wake, more likely we are witnessing the emergence of one-election Islamists like the Muslim Brotherhood. The region will be mired in turmoil whether these upheavals turn out to be like the hijacked Iranian revolution that ended in theocracy, or the Turkish democratic model that is insidiously becoming Islamist. Horizontal drilling and fracking have made oil shale and tar sands rich sources of oil and natural gas, so much so that the United States may prove to possess the largest store of fossil fuel reserves in the world -- in theory, with enough gas, oil and coal soon never to need any imported Middle Eastern energy again. "Peak oil" is suddenly an anachronism. Widespread American use of cheap natural gas will do more to clean the planet than thousands of Solyndras. If the United States utilizes its resources, then its present pathologies -- massive budget and trade deficits, mounting debt, strategic vulnerability -- will start to subside. These new breakthroughs in petroleum engineering are largely American phenomena, reminding us that there is still something exceptional in the American experience that periodically offers the world cutting-edge technologies and protocols -- such as those pioneered by Amazon, Apple, Google, Microsoft, Starbucks and Walmart. In comparison, China is not only resource-poor but politically impoverished. For decades we were told that Chinese totalitarianism, when mixed with laissez-faire capitalism, led to sparkling airports and bullet trains, while a litigious and indulgent America settled for a run-down LAX and creaking Amtrak relics. But the truth is that the Los Angeles airport will probably sooner look modern than the Chinese will hold open elections amid a transparent society -- given that free markets did not make China democratic, only more contradictory. Even more surreal, tiny oil-poor Israel, thanks to vast new offshore finds, has been reinvented as a potential energy giant in the Middle East. Such petrodollars will change Israel as they did the Persian Gulf countries, but with one major difference. Unlike Dubai or Kuwait, Israel is democratic, economically diverse, socially stable and technologically sophisticated, suggesting the sudden windfall will not warp Israel in the manner it has traditional Arab autocracies, but instead become a force multiplier of an already dynamic society. Will Europe still snub Israel when it has as much oil, gas and money as an OPEC member in the Persian Gulf? Who would have thought that a few fracking innovators in Texas would change the world's carbon footprint far more than did Nobel laureate Al Gore -- while offering a way for the U.S. to be energy-independent. Or that Angela Merkel, not the European Union, would run Europe. Or that Arabs would be overthrowing Arabs, as oil-rich Israel idly watched.